You know how you when you’re growing up you’d hear things about your family from the older folks and you couldn’t make any sense of it all? There’d be some story about these Great-Grand Whoevers and you had no idea who they were, because of course you were a kid and you had no perspective. 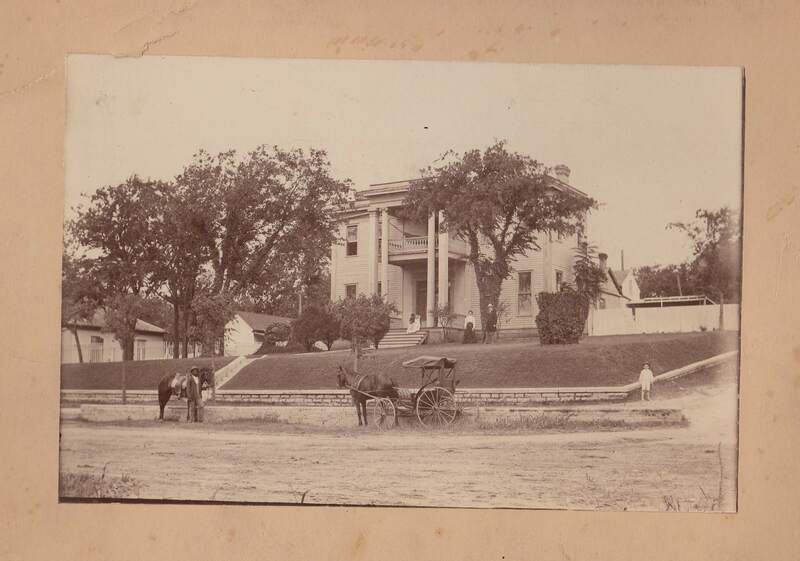 I knew Grandpa Mac’s family was from Texas, and if my grandmother’s stories were to be believed—and often they weren’t, because she was crazy and kind of awful— that side of the family once lived in the Texas governor’s mansion. Or something like that. Grandpa Mac, my maternal grandfather, died in 1997. His wife, who we called Grandma Steve, died in 2002. When we cleaned out their house, reams of letters and photos and family albums were collected in some file boxes and a military footlocker trunk. My parents put the stuff into storage, first at one house and then another, meaning to go through it all eventually. Or course, there’s plenty the letter doesn’t tell us. Is this house still standing? Did the family actually own it? Why don’t we live there now? What happened to us? This entry was posted in Austin, Haynie-Cook House, Jameson-Routh Family by Wendy. Bookmark the permalink. Hi Jan—I’m glad you like the site. I wish I knew more about that photo feature… it seems to have come with the WordPress theme I picked. I’ve noticed that sometimes the basic features you get with the blogs hosted by WordPress are a little more advanced than what you get in the version of WordPress that runs on self-hosted sites. I don’t have the option to use plugins on this blog and I’d have to pay extra to customize the RSS, but there are some nice bells and whistles on this thing, and the photo-enlarging feature is one of them. Hope you find something that works, though!